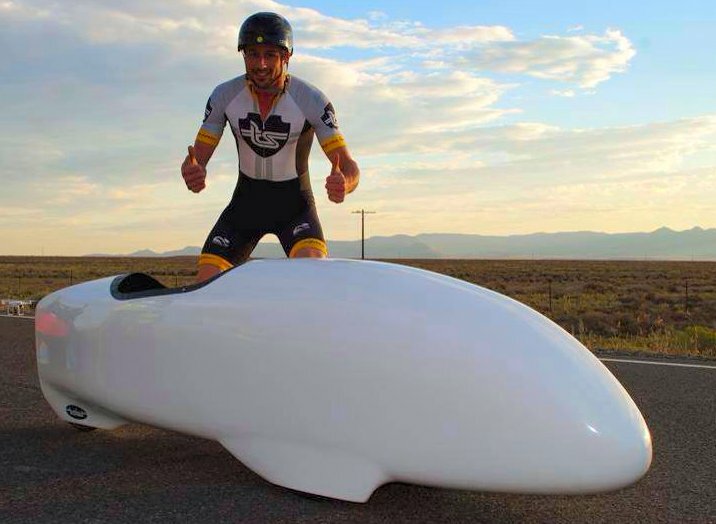 Congratulations to Australian Gareth Hanks of team Trisled for setting a new multi-track human powered vehicle (trike) record at 72.94 MPH during the 2014 WHPSC! The week long 2014 World Human Powered Speed Championships is over. At this event racers from around the world combine technology and athletics to achieve the fastest flat track human powered speeds in the world. Currently the fastest human is Sebastiaan Bowier of Human Power Team Delft. In 2013 he set a new speed record of 83.13 MPH!